This imprinted calendar makes it easy to manage your balancing acts! This chart puts the entire year in front of you for easy reference. 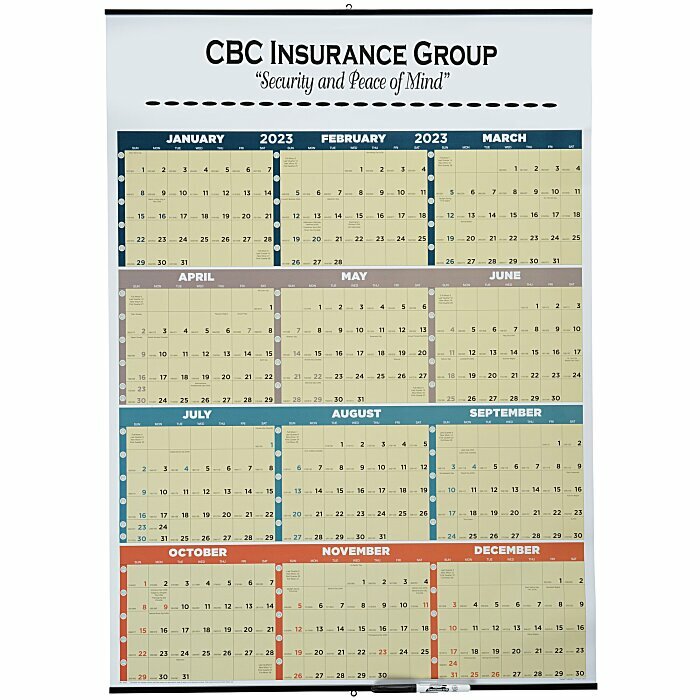 The calendar is UV-laminated, creating a write-on/wipe-off surface. It even includes a dry-erase marker to get you started. Perfect for determining lead times, tracking jobsite working days, tracking vacation days, recording shipments and much more. Size: 37-5/8" x 27" . Your price includes a Black imprint above of the calendar.